TechPinas has been sharing the online coverage or livestream of the current Philippine President's State of the Nation Address for seven years now as public service for my readers and followers. One of the great things about being a Filipino in this digital era is that you can simply go online to stay informed about the latest news and events that are happening in our country. 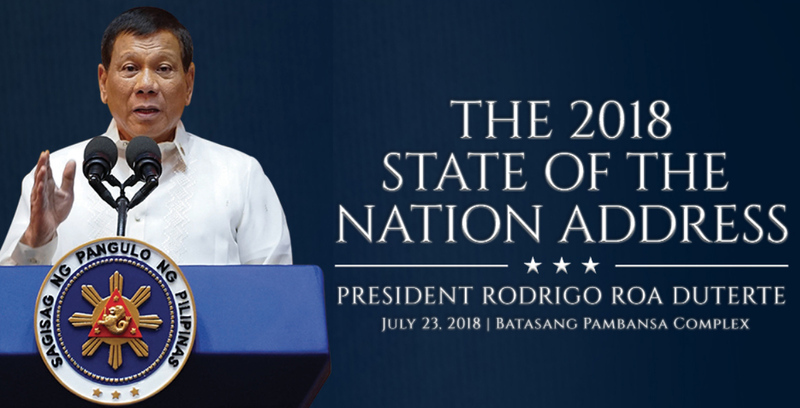 For Pinoys who are living in other countries and for those who don't have access to local television channels, you can still watch President Rodrigo Roa Duterte's 2018 State of the Nation Address through videos on Facebook and Youtube. You may also visit the official websites of ABS-CBN, GMA7, and CNN Philippines to witness or listen to the speed that PRRD will deliver today July 23, 2018 at around 4:30PM. Whereas Duterte's first two SONA's were directed by world-renowned indie film director Brillante Ma Mendoza, the 2018 SONA will be directed for TV broadcast by award-winning director Binibining Joyce Bernal. In his speech, the President is expected to talk about the recent accomplishments of his administration, his answers to issues being raised by this critics, and the government's plans for future -- especially in terms of infrastructure, economy, public transportation, medical services, disaster response, and international relations.